Applications are invited for recruitment of 417 vacant posts of United Defense Services Examination in Union Public Service Commission. Interested candidates can apply before the final date by reading the given instructions. The last date for applying is November 26, 2018. Candidates for these positions will be selected on the basis of interview and experience. Age limit – 2nd January, 1996 and not later than 1st January, 2001 year. Please see the published notification for age relaxation and other information. (i) For I.M.A. and Officers’ Training Academy- Degree of a recognized university or equivalent. (ii) For Indian Naval Academy-Degree in Engineering from a recognized University / Institution. 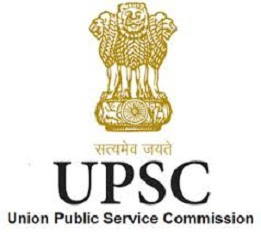 Apply soon – 417 vacant posts of United Defense Services Examination in Union Public Service Commission. Interested candidates can apply before the final date by reading the given instructions. The last date for applying is November 26, 2018. Candidates for these positions will be selected on the basis of interview and experience.